There was a young man who invented a game. He was an Aboriginal man who wanted to explain what it felt like to be an Aboriginal person in this country. The game took you through a history of his people and every day situations we would never come across. Every time something good happened, the counter moved two steps back. Every time you chose to discriminate against another, the counter moved two steps forward. You won the game through the oppression of many. He said he wanted to express what it felt like to have every success of his people marred by our own systemic political and cultural failures. For every step forward by his people, he was waiting to see and hear the inevitable backlash. I could feel the weight of it. The unfairness of it from his perspective. Since the First Fleet sailed into Botany Bay, his story and the story of his ancestors has been one full of dispossession and oppression. Only now are we trying to undo some of the damage done to their language, heritage and identity with varying degrees of success. 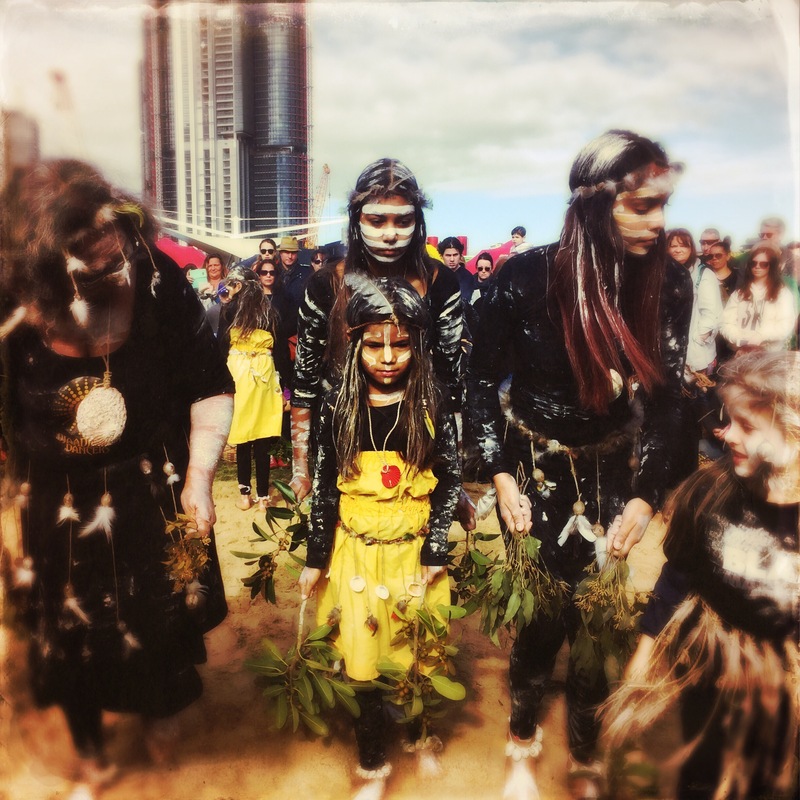 It is NAIDOC Week in Australia. A week that celebrates the rich history, culture and achievements of Aboriginal and Torres Strait Islander people. For one week there will be flags on the city streets, art galleries and performance venues will host various cultural events. Churches, community halls, and even the local mall will have performances from the community. There is also an open invitation to celebrate with them. To learn from their connection to country and their history. This year’s theme touches on language and what it means to keep it alive. It was at one of these events I met a young mum. Her father was a Dunghutti man from up north and her mother was a Dharawal woman from the local neighbourhood. She tells me her children love this week. It is a recognition of their culture and highlights their ancient connection to their tribe and to this land. Their land. She tries to go to one event a day to mark her heritage. For one week every year, she gets to openly, proudly, celebrate who she is and what this home means to her.